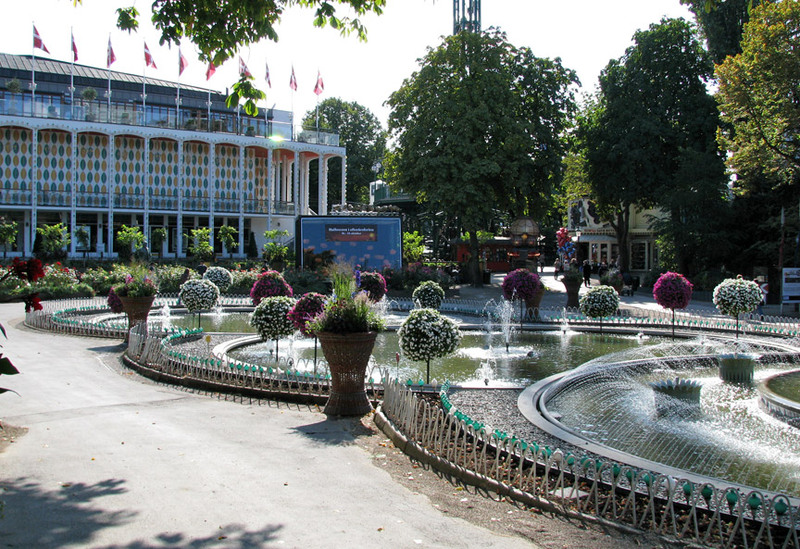 Tivoli Gardens is a famous amusement park and pleasure garden in Copenhagen, Denmark. 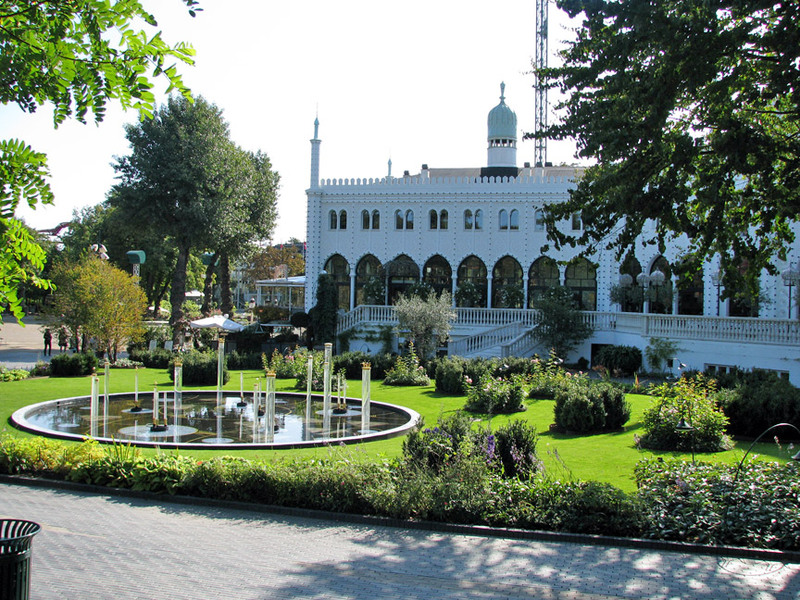 The park opened on August 15, 1843 and, except for Dyrehavsbakken in nearby Klampenborg, it is the oldest amusement park which has survived intact to the present day. 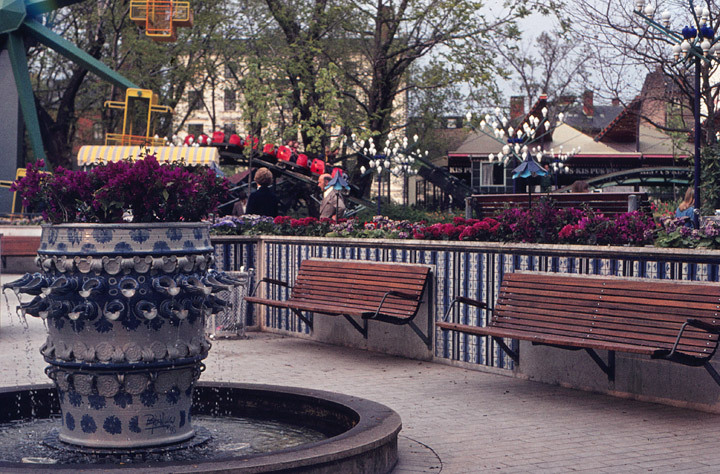 The amusement park was first called "Tivoli & Vauxhall"; "Tivoli" alluding to the Jardin de Tivoli in Paris (which in its turn had been named from Tivoli near Rome), and "Vauxhall" alluding to the Vauxhall Gardens in London. 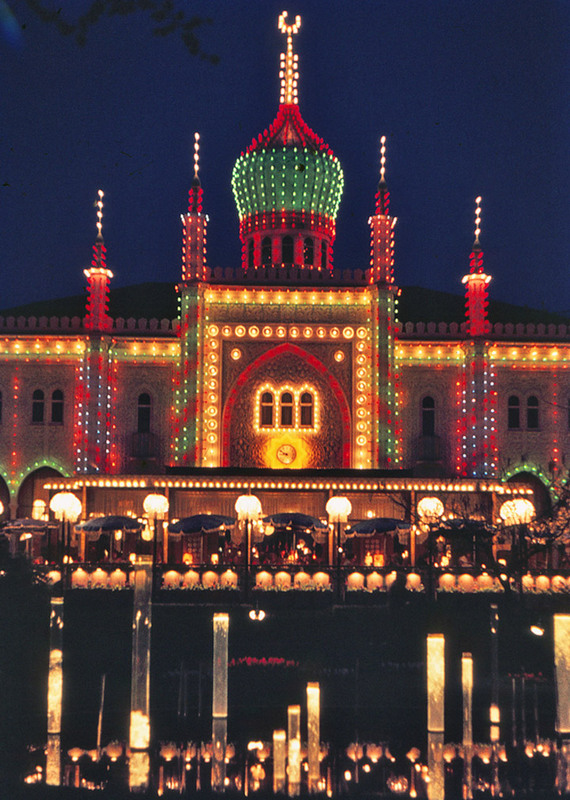 Tivoli's founder, Georg Carstensen (b. 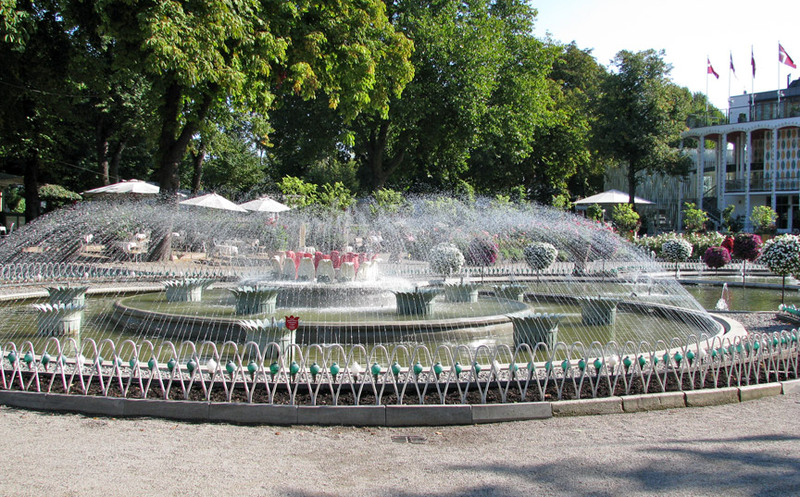 1812 - d. 1857) obtained a five-year charter to create Tivoli by telling King Christian VIII that "when the people are amusing themselves, they do not think about politics". The monarch granted Carstensen use of roughly 15 acres (61,000 m²) of the fortified glacis outside Vesterport (the West Gate) at the annual rent of 945 kroner. 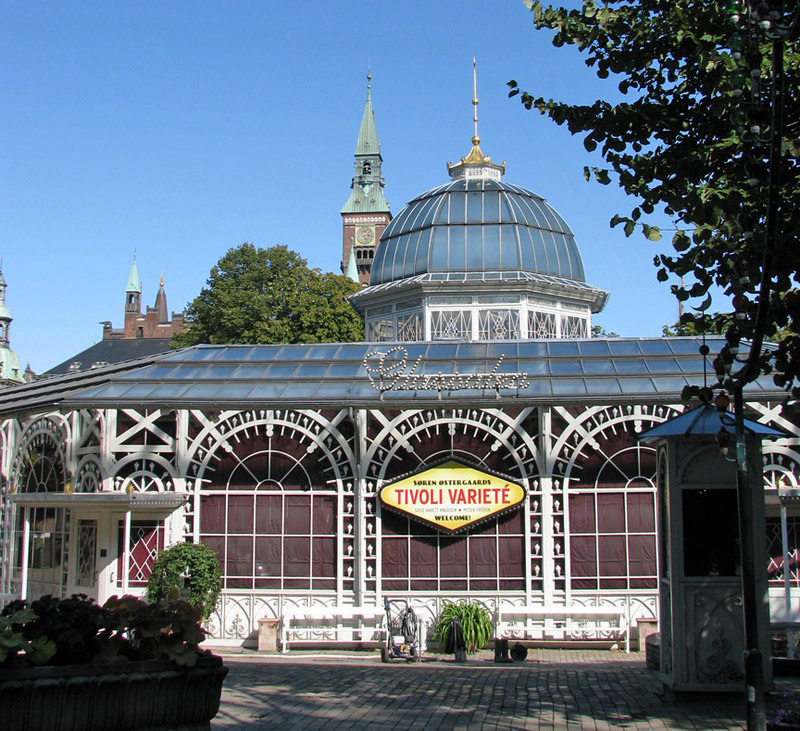 Therefore, until the 1850s, Tivoli was outside the city, accessible through Vesterport. Composer Hans Christian Lumbye (b. 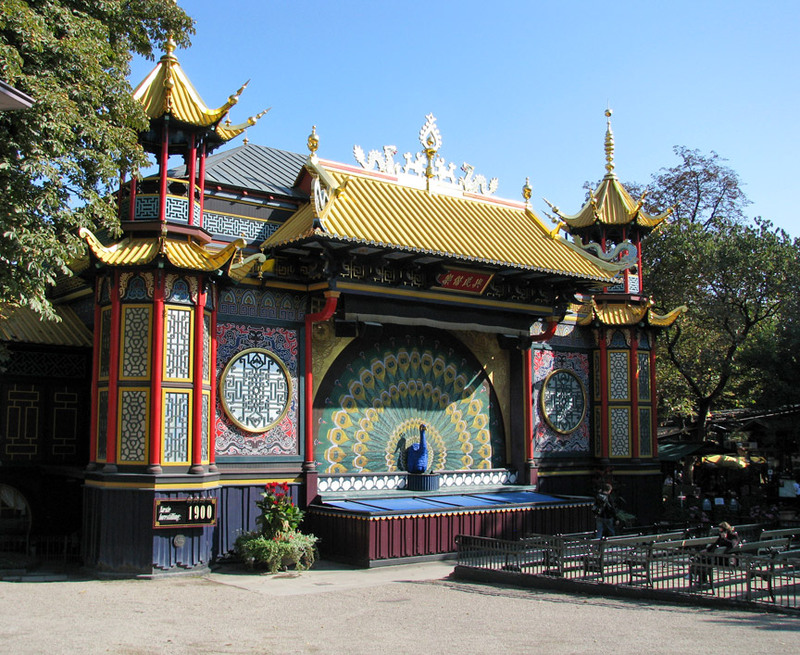 1810 - d. 1874) was Tivoli's musical director from 1843 to 1872. 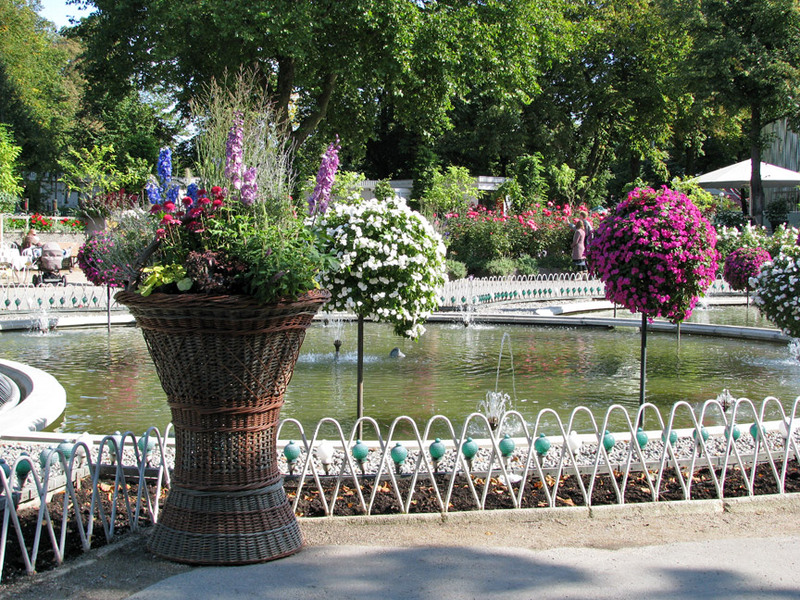 Lumbye was inspired by Viennese waltz composers like the Strauss family (Johann Strauss I and his sons), and became known as the "Strauss of the North." 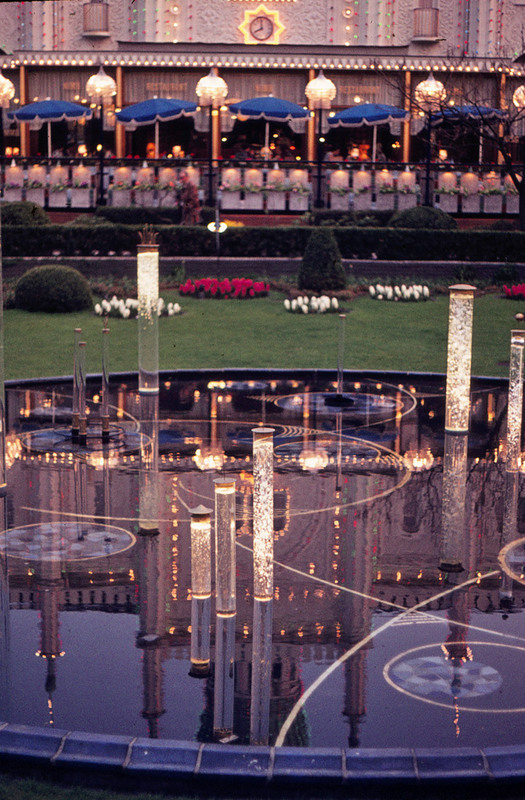 Many of his compositions are specifically inspired by the gardens, including "Salute to the Ticket Holders of Tivoli", "Carnival Joys" and "A Festive Night at Tivoli". The Tivoli Symphony Orchestra still performs many of his works. 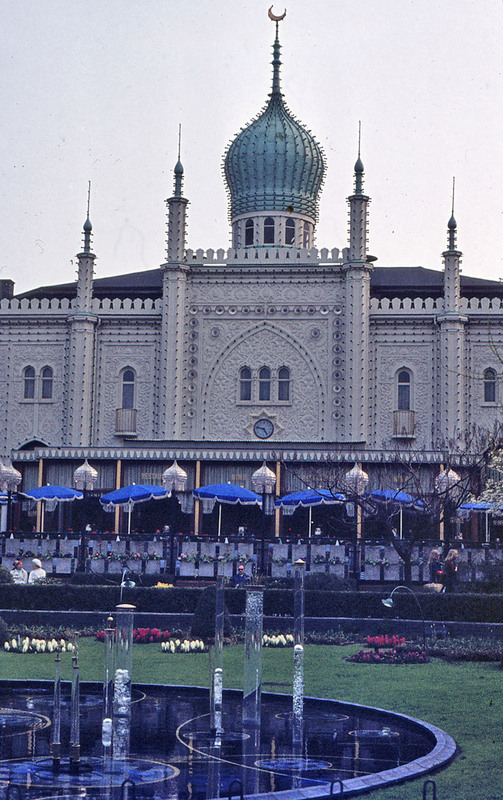 In 1943, Nazi sympathizers attempted to break the Danish people's spirit by burning many of Tivoli's buildings, including the concert hall, to the ground. 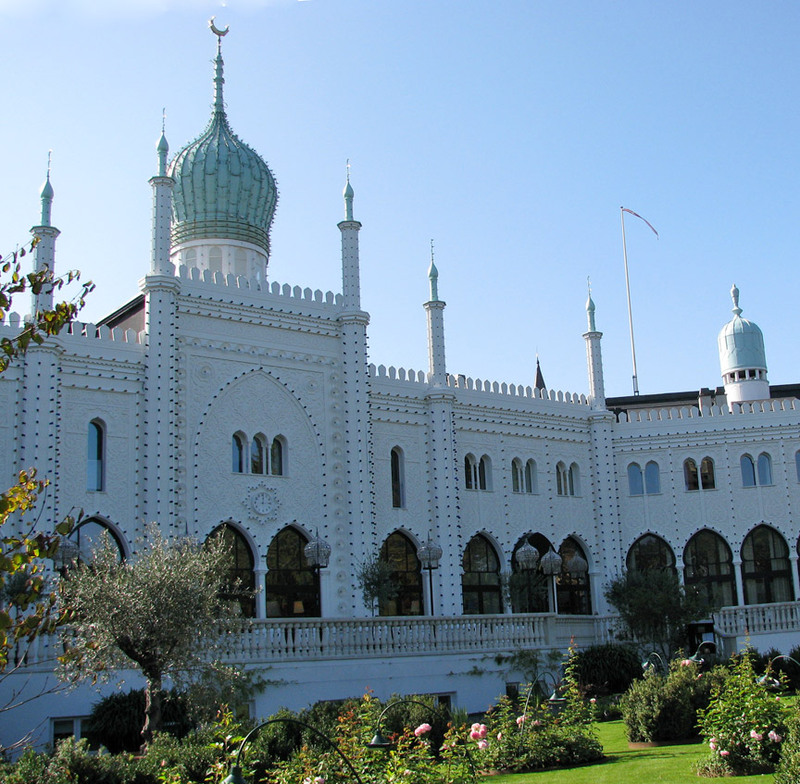 Undaunted, the Danes built temporary buildings, and the park was back in operation after a few weeks. 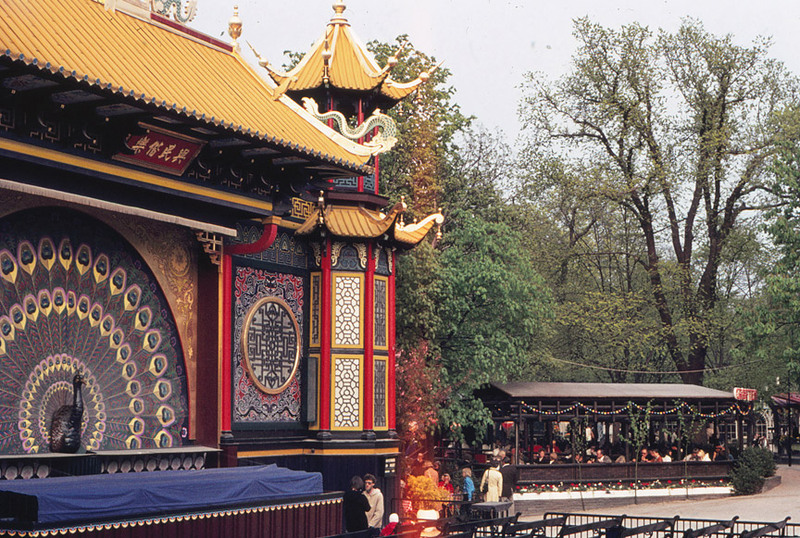 In 1874, Chinese style Pantomimeteatret (The Pantomime Theatre) took the place of an older smaller theater. The audience stands in the open, the stage being inside the building. 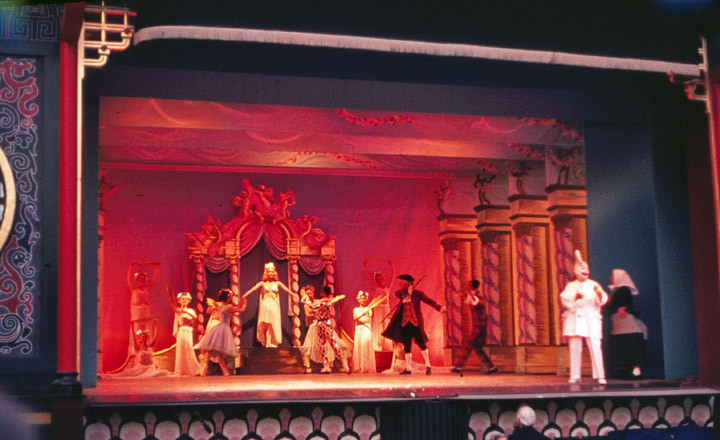 The theatre's "curtain" is a mechanical peacock's tail. 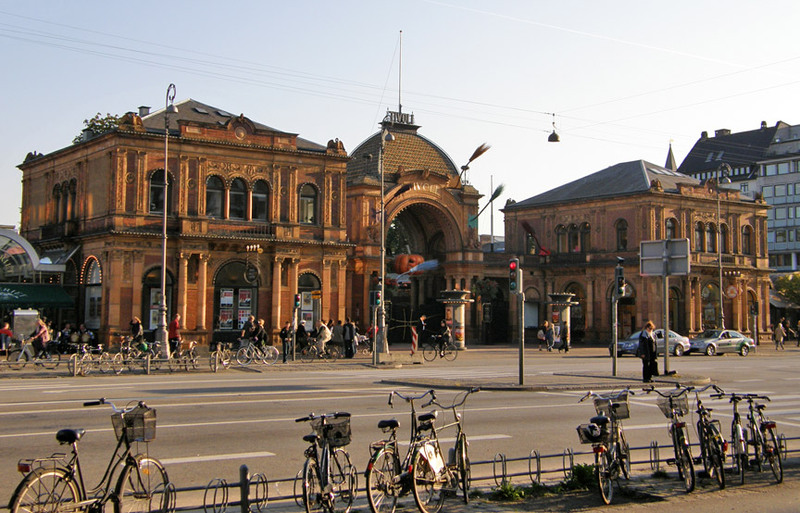 From the very beginning, the Theater was the home of Italian pantomimes, introduced in Denmark by the Italian Giuseppe Casorti. This tradition, which is dependent on the Italian Commedia dell'Arte has been kept alive, including the characters Cassander (the old father), Columbine (his beautiful daughter), Harlequin (her lover), and, especially popular with the youngest spectators, the stupid servant Pierrot. 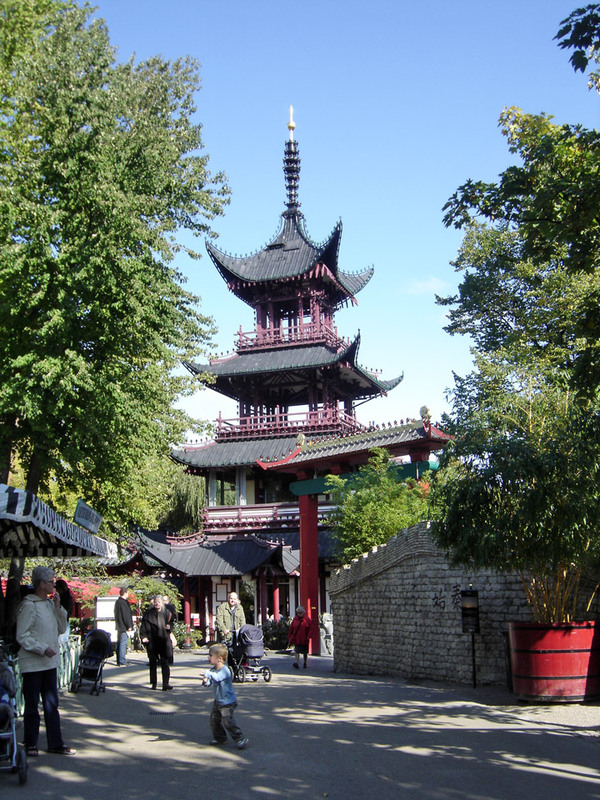 The absence of spoken dialogue is an advantage, as Tivoli is now an international tourist attraction. 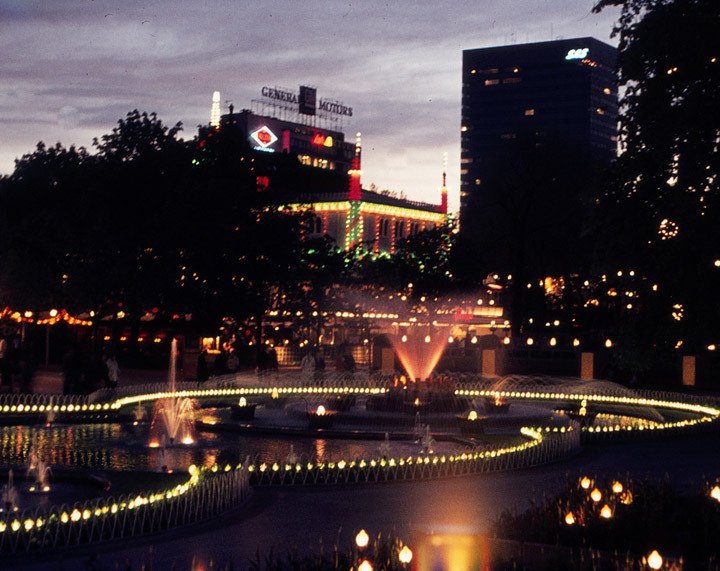 Tivoli is always evolving without abandoning its original charm or traditions. 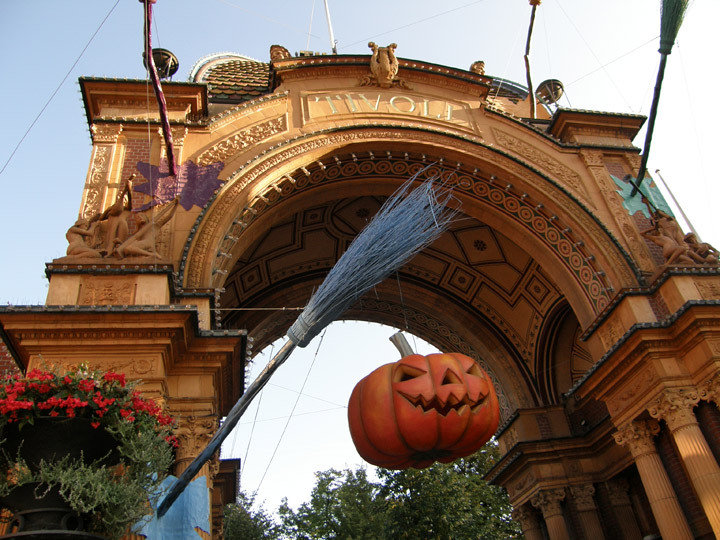 As Georg Carstensen said in 1844, "Tivoli will never, so to speak, be finished," a sentiment echoed just over a century later when Walt Disney said of his own Tivoli-inspired theme park, "Disneyland will never be finished as long as there is imagination left in the world."